On both dishes we have a toasted nut selection to finish with beetroot leaves. Highlight for the week must be the Springbok dish in its new reincarnation it is an absolute gem, thanks to Chef Dee. Bringing in little subtle changes of spice. We have seen the springbok with biltong, blue berries, beetroot, samp, spaetzle, celeriac, Kalahari truffles and semolina. We have always kept the braising element with chakalaka. 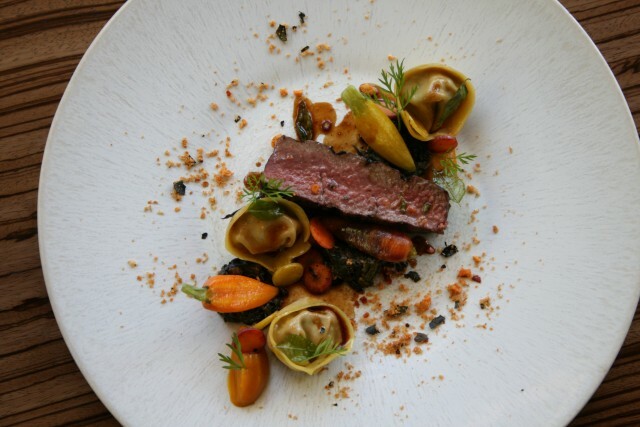 On this menu we place the braised element in beautiful pockets of tortellini tossed in curry leaf butter, brioche and nut crumble, sweet as well as pickled carrots. The loin is cooked on a charcoal grill giving it a slight smoky edge. 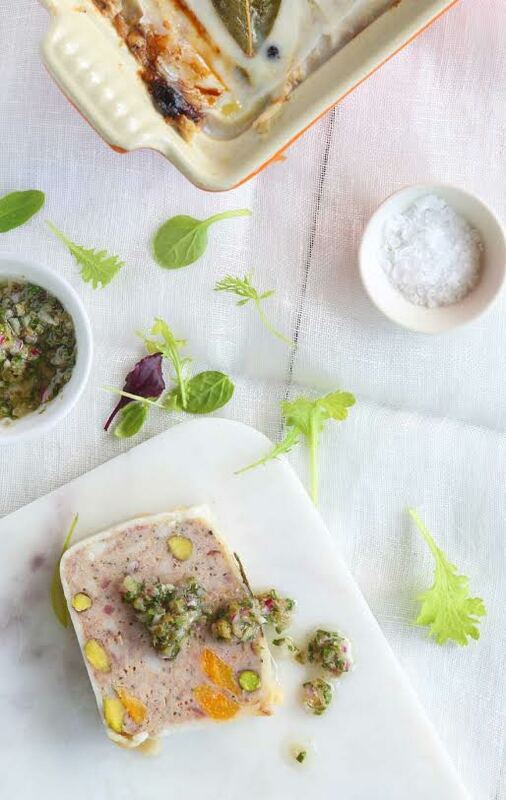 One of the most satisfying things to make in the kitchen, is a terrine whether pressed or baked. Chef Chris Erasmus from Foliage in Franschhoek makes some of the finest terrines I have ever tasted. No menu is complete if a terrine is not included. For me only a true chef can make a great terrine. The combination of patience and skill is a must. As chefs we taste as we go along, but with a terrine one needs to understand how the taste will be on the other side. A terrine is not great straight out of the oven, patience is needed in letting it rest under a light weight. I prefer letting it rest two or three days before slicing so the flavours develop. This is where the art in seasoning is essential. Temptation is a huge factor….do not give in, leave it alone! When I was a youngster I was working at the Parktonian Hotel as a chef de partie in Braamfontein, my boss at the time wanted to celebrate in grand scale and being a lover of fine food and drink he asked me to make a selection of terrines and pates fit for a king. I must have made 8 different terrines, from duck liver, pheasant to pâté-croûte and this is how a love affair started. Sadly people have forgotten how to enjoy these delicacies and with this the art has faded. 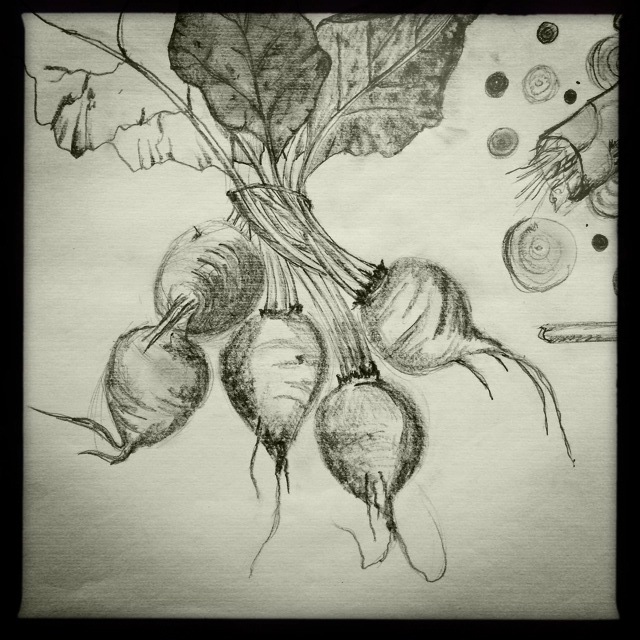 One of my first books I purchased was “The art of Garde Manger” by Sonnenschmidt and Nicholas together with the book pâtes and terrines it shaped my basic skills in the kitchen. Combine the salt, white pepper, nutmeg, cloves, two juniper berries, a bay leaf, mixed herbs and orange zest. Use this mix to season the meat. Add the brandy and combine. Cover the mixture with cling wrap and refrigerate for 12 hours. After 12 hours remove from the fridge and mince the mixture in a blender. It is important to keep the equipment as well as the mixture as cold as possible at all times. Place the mixture into a bowl, add in the eggs and then mix in the pistachio nuts and apricots. Line a terrine mould with pork fat or bacon rashers (note: use a loaf tin if you don’t have a terrine dish). Fill with the meat mixture and finish by wrapping the bacon/pork fat over the top. Place the remaining three bay leaves, juniper berries and the black pepper corns on top of the wrapped terrine. Place the lid on top, or if using a loaf tin, seal with foil. Fill a roasting pan/ovenproof dish halfway with water to create a water bath. Bake the terrine at 180 C, the water temperature should remain at 80 °C for 1 hour. Remove from the oven and place a weight on top to compress. Allow to cool at room temperature and refrigerate weighted for as long as temptation will allow.